Making a moodboard is often not needed, because you know what the company general does and wants. But often you might bump into a company that does not lay in your lane, and might get you in a design block. A moodboard is just a collage with pictures, text slogans and different materials on it. I often see allot people just pasting everything on it without making any effort setting a real mood on it. When you make the moodboard you need to think it should look like and not just a collection of stuff about the company. And also sometimes you can re-use the same moodboard for different companies with the same mood. This is a moodboard I made for setting the mood for companies would be interested in the packaging design department of my school. Here you could see the mood is clearly allot of white clean and straight. 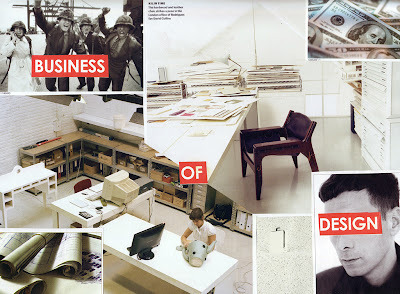 Picture of a design company office and different things that got to do with the companies. This moodboard fits very good with Limakis because its very clean and also simple. 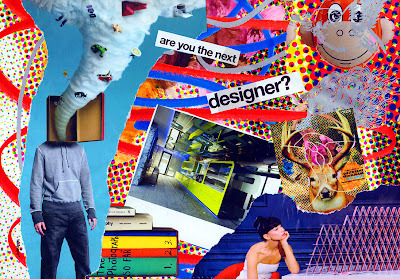 And this one is the moodboard for new students that would be interested with the packaging design department. Here you can see clearly there are allot of difference between the two moodboards. New students are rough uncut diamonds that also have radical idea and are extreme busy. You can see it is very busy, playful and rough. Not everything is cut straight or made standalone and the colors are very busy, criss crossing and allot of colors. Few pictures are torn to give it the roughness. This would not fit properly with Limakis, however there are allot of elements about design. But non is fitting for the "less is more and keep it simple" slogan. So now you should know setting the mood is very important, because from this you could see what it represent and also from the colors in them you could set the colors for the design or the logo them self. But also color or the design of anything else. 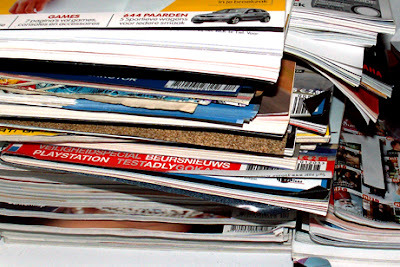 Materials: Allot of magazines, paper and all sorts of materials. These are basic tools you need. You might say why not make it in photoshop. Photoshop might be a great photo editing tool but printed moodboard compared to a cut and paste misses allot of mood. Because everything is standalone very clean and layers everything looks flat and blend in allot and misses allot of feel to it and depth. Collecting materials could be old mags or total new magazines. Sometime you need to buy a magazine because the design is not on your piece of lane and you might got nothing to do with it. When buying new magazine go for the one that are very thick and got allot of full page advertisements. Those ads are great and big and good to use compare to magazine with tons of text and allot of small pictures. Also they got allot of text with big corps that are great to use for making a slogan. A great magazine I found is Wallpaper. It got tons go big advertisement and also pages with big pictures of different designs and also wallpaper designs pages. So which pictures you really need. In design process step 1. we made a brainstorm where we searched for words that got to do with the company. Just search pictures that got to do with those words and also look at the colors you have written in the brainstorm, fit the colors of the brainstorm with the colors of the pictures. And try to get the colors to match with each others. We wouldn't want half of the moodboard to be one color and the other half another. Unless the it meant to. The base where you paste everything on is very important, you could past everything on a sheet of white paper and if it don't fit with the design or style it could make it lack of mood. And when you got allot of open spaces the white often is too bright making you the rest less important. It's the best to use a black background on your moodboard. But if you know what color you want or the color the company wants you could use that color for the background. But mostly black is the best to set the attention to the picture instead of the background. Why a camera while you just cut and past it. A camera is a handy tool because you could change the settings or the layout of your moodboard and then use a camera to save the different layout and then choose the best one out. And paste it that way and you wont forget where the picture should be. But you could also just use the picture you photographed and print that out. If you don't want to destroy your magazine or if you got picture on both page you want to use you could photograph them. Which glue to use. 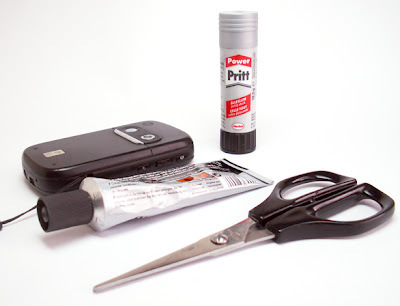 Best to use is actually photo glue, this glue is great because it does not stain and you can actually remove the part you pasted even when the glue have dried. 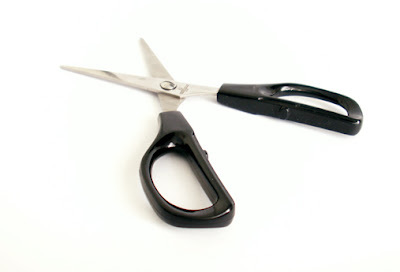 And of course a scissor to cut out all of those pictures. But you don't need to cut every picture down to the edge. It is better to use what is in the background then to make everything standalone. And to show roughness is it the best to tear out the picture instead of cutting, but tear it slowly instead of trying to rip it out with just one tear. Making a rough torn edge on the pictures instead of a clean cut one. The rest is all up to you to set the mood. Making moodboard are no real rules to it, just how the edges on the picture or the picture and colors them self could set a certain mood and the a good layout could help making it look nice too. Cause sometime the company want to see the moodboard because they would pay you for this process, and if it looks like crap they could say that they wont pay for such a ugly thing. I got some of my moodboard in a frame on my walls because they look very cool and inspirational.